They're blue. They're Men. And they're a group. Enough said. DARK AND STORMY NIGHt: During the Halloween season, there are countless haunted houses, hayrides, graveyards amusement parks, the list goes on. But are any of them truly scary? The answer to that is an unequivocal yes. If you head to Dark Manor in Norwich, you may want to pack an extra pair of undies. The haunted house is consistently named the scariest haunted house in Connecticut. The Manor boasts 2 floors of heart stopping terror and special effects, as well as an outdoor graveyard village that will have you crying for Mommy. Heck, even the website will give you the creeps. The Manor is open tonight from 6:30-11 p.m. It's $16 to experience the haunts ($4 off tonight if you bring your college ID). GETTING MENTAL: What better way to gear up for the scariest night of the year, than seeing a band named Disturbed. It's like walking into your own private Saw movie soundtrack (or maybe not). Anyway, tonight you can see Disturbed live in concert at the Oakdale in Wallingford. Since Disturbed released their debut album, "The Sickness," they've been one of the most respected bands in the hard-rock world, selling three platinum albums. Tickets for tonight's show are $33. The show starts at 7:30 p.m. FEELING A LITTLE BLUE? : Get ready for one of the most remarkable things you'll ever see on a concert stage. Blue Man Group is performing tonight at the Bushnell. Their show, besides being a vision in blue, blends music, theater, comedy, mime, noise, sights, sounds and lots and lots of colors. It's a perfect evening of entertainment for all ages. And by the end you'll be wondering how they turned blue in the first place. Tickets for tonight's show are $17-$65. The show starts at 7:30 p.m. But fear not What You're Doing Tonight Fans. 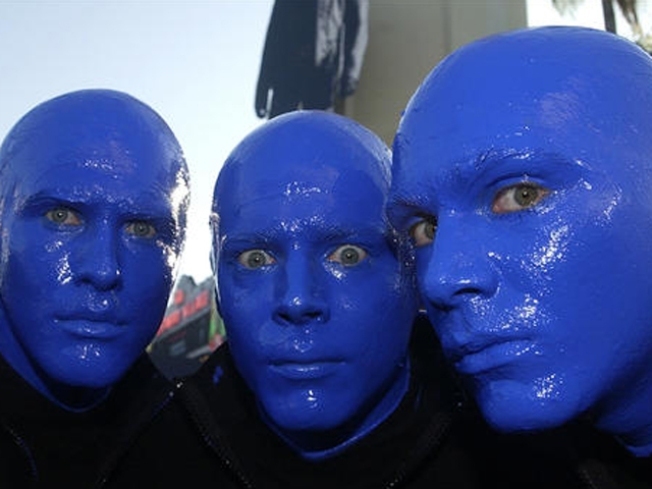 If you can't make it to see the Blue Men and their group, you can check them out any night through the end of the month.